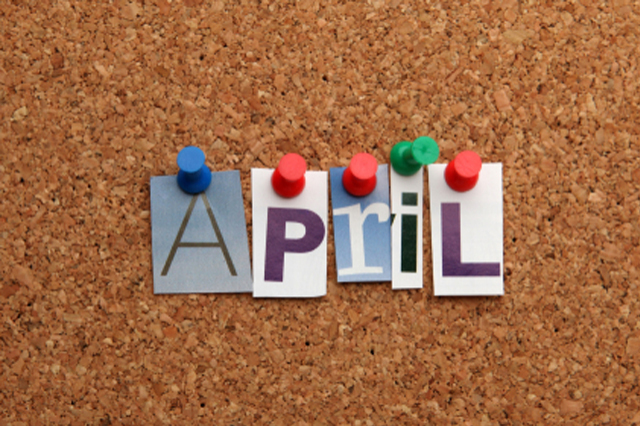 It’s hard to believe today is the last day of April. 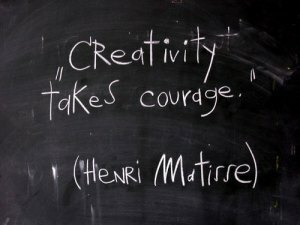 This month, Digital Sisterhood Network (DSN) promoted the theme, “Giving Birth to Your Creativity” as a Creativista. Click here to read more about what it means to be a Creativista. What have you given birth to this month and year? DSN has given birth to a series of creative conversations. 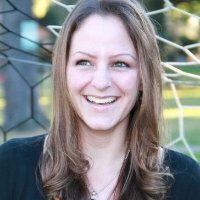 Earlier this week, we hosted an episode of Digital Sisterhood Radio that featured an interview with Tech Creativista Ida Wainschel, Senior Director for Global Product Innovation and Strategy at Dun and Bradstreet. Click here to read about and listen to the interview (approximately 20 minutes). 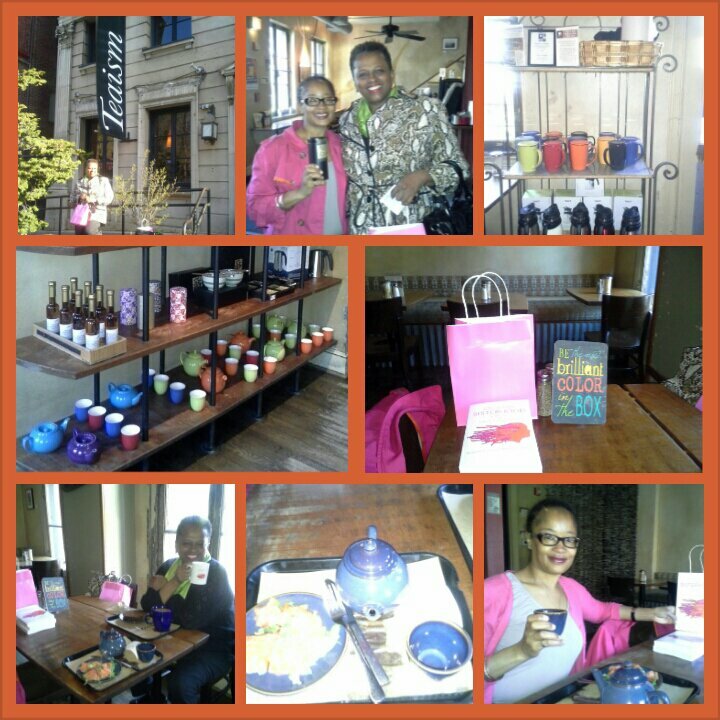 Last week, DSN founder Ananda Leeke hosted the DC Digital Sisterhood Network’s Breakfast Meet Up at Teaism, a woman-owned tea house (see photo above). Learn what happened at the meet up by clicking here to listen to the podcast Ananda recorded with Valerie Trammel, founder of Trammel Communications. Valerie was the first person who arrived at the meet up. She won a Digital Sisterhood mug filled with Tazo Passion tea bags and chocolates. She also received a complimentary 20 minute creativity coaching session (which we had today). They had a great time chatting about creativity and overcoming challenges with Nia, founder of Karat Cakery, a DC Dessert Food Truck (makes the best carrot cake in the universe!!!!). 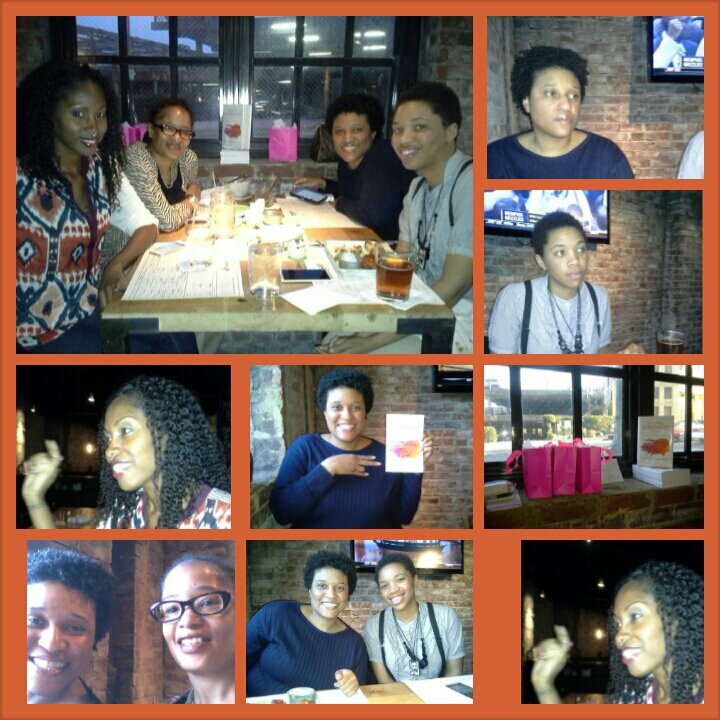 On April 9th, Ananda hosted a creativity conversation during the Atlanta Digital Sisterhood Meet Up held at Proof and Provision, a bar and restaurant located in the Georgian Terrace Hotel. Click here to listen to the podcast she recorded with the amazing women who attended the event. 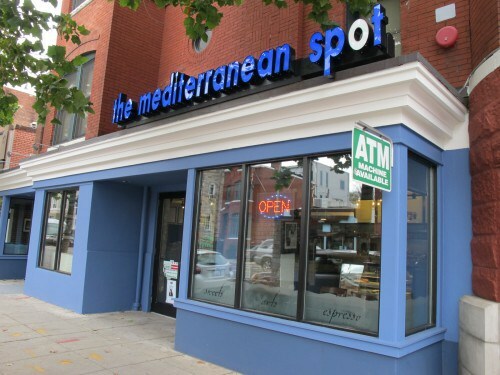 If you are in DC on April 30, join Ananda for the DC Digital Sisterhood Meet Up: Sip Tea & Coffee, Eat Dessert & Chat About Creativity from 7:00 p.m. to 8:30 p.m. at The Mediterranean Spot, 1501 U Street, NW, Washington, DC (located on the corner of 15th and U Streets, two blocks from the U Street/Cardozo Green/Yellow Line Metro). Click here to register for the event on Eventbrite. Come ready to chat with Ananda about creativity and her new book, Digital Sisterhood: A Memoir of Fierce Living Online. 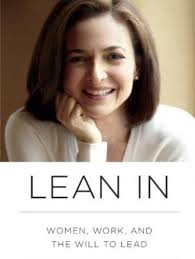 She’ll have copies of the book for sale ($23.95 – credit card via Square or PayPal and cash accepted). Be sure to read the Digital Sisterhood Network blog for clues that can help you win a prize (the first person to arrive will win a special prize). •Creative Self-Care Practices (breathing exercises, guided meditation, affirmation, and kind and gentle office yoga for your eyes, hands, mouth, and shoulders). 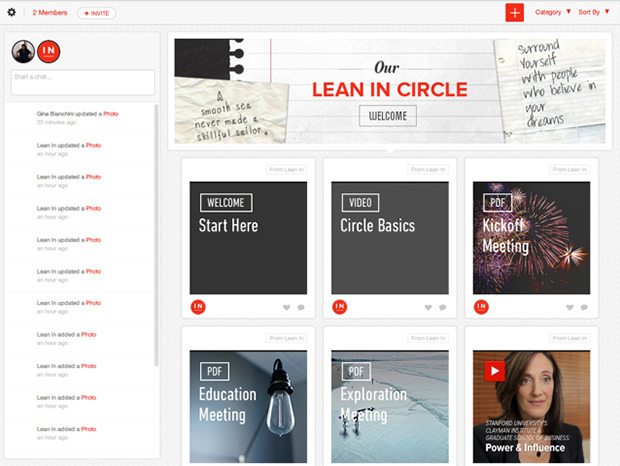 •Ice Breaker Exercise and Sharing Circle. •Journaling Exercises with Sharing Circle and Creativity Coaching Feedback. •Action Planning Steps and Tips for Giving Birth to Your Creativity. •Two creativity coaching email check-ins (one in June and one in July). •A special discount on creativity coaching sessions and packages. 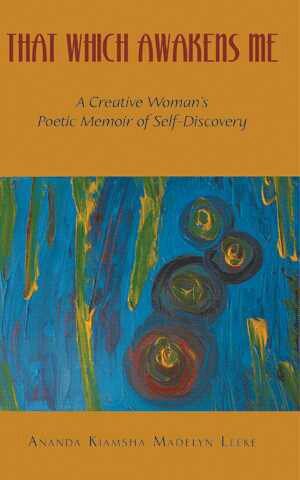 The workshop is based on exercises and information contained in her book, That Which Awakens Me: A Creative Woman’s Poetic Memoir of Self-Discovery (available on Amazon). It will be delivered via conference call. So all you need to participate is your telephone. Once you register and pay $26.26 ($23.95 workshop fee and $2.31 Eventbrite fee) for the workshop, she will email you an agenda with handouts, the special discount on creativity coaching sessions, and the telephone number for the conference call. Click here to register for the workshop. Calling Digital Sisters in DC, Maryland, and Virginia! Have you ever celebrated Digital Sisterhood Wednesday? Drop by the DC Digital Sisterhood Meet Up: Chai, Creativity Conversations & Community and meet Digital Sisterhood Network founder Ananda Leeke on April 23, 2014 from 8:00 a.m. to 10:30 a.m. at Teaism, a woman-owned tea house, 2009 R Street, NW, Washington, DC (located just off the corner of Connecticut and R Streets, two blocks north of the Dupont Circle Red Line Metro; exit on the Q Street side). Click here to register to attend on Eventbrite. Teaism offers some of the best chai tea in DC and other yummy teas and beverages. The breakfast menu is AWESOME. Click here to learn more. PS: Read this “Are You A Creativista?” blog post for clues on prizes you could win at the April 23rd Meet Up. 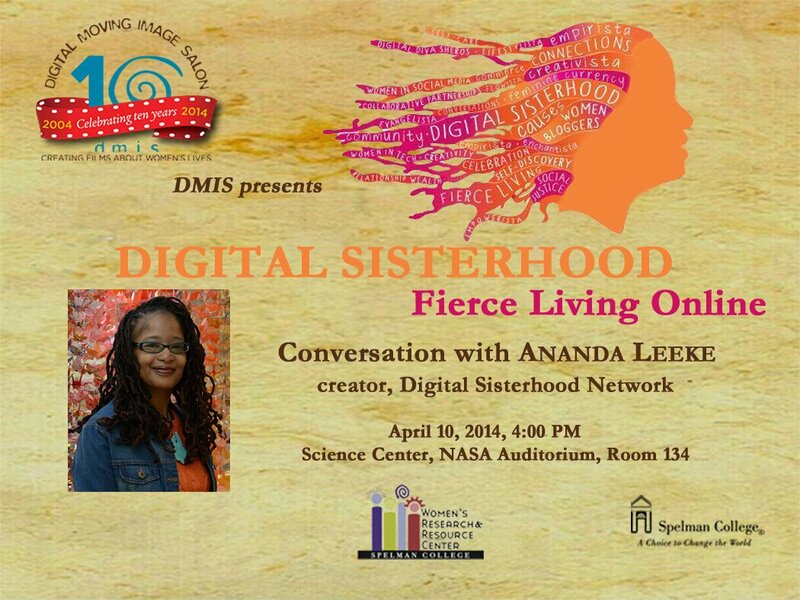 Digital Sisterhood Network founder Ananda Leeke is headed to Atlanta this week to participate in a conversation about fierce living online on April 10 with 2012 Creativista Digital Sister of the Year Dr. Ayoka Chenzira, founder of Spelman College’s Digital Moving Image Salon. They’ll be talking about digital sisterhood and social media too. Copies of Ananda’s new book, Digital Sisterhood: A Memoir of Fierce Living Online will be available for sale. If you are in Atlanta, plan to attend the event which will be held at 4:00 p.m. in the NASA Auditorium in Spelman’s Science Center, 350 Spelman Lane, SW, Atlanta, Georgia. 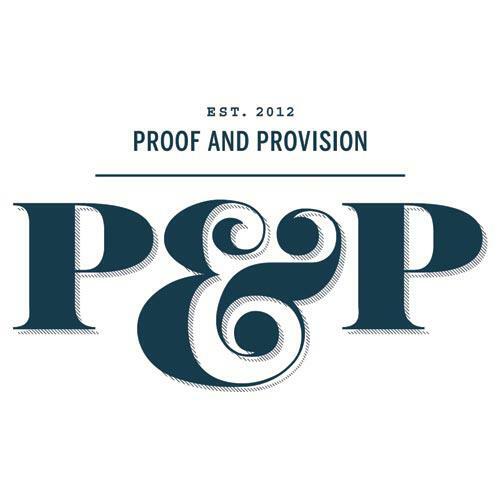 PS: For Digital Sisters in Atlanta: Drop by the Digital Sisterhood Meet Up: Cocktails & Conversation on Creativity and meet Ananda on April 9, 2014 from 7:00 p.m. to 9:00 p.m. at Proof and Provision at the Georgian Terrace Hotel, 659 Peachtree Street, NE. Click here to register on Eventbrite. Digital Sisterhood Network (DSN) is launching the #DigitalSisterhood Wednesday Question of the Day (QOTD). 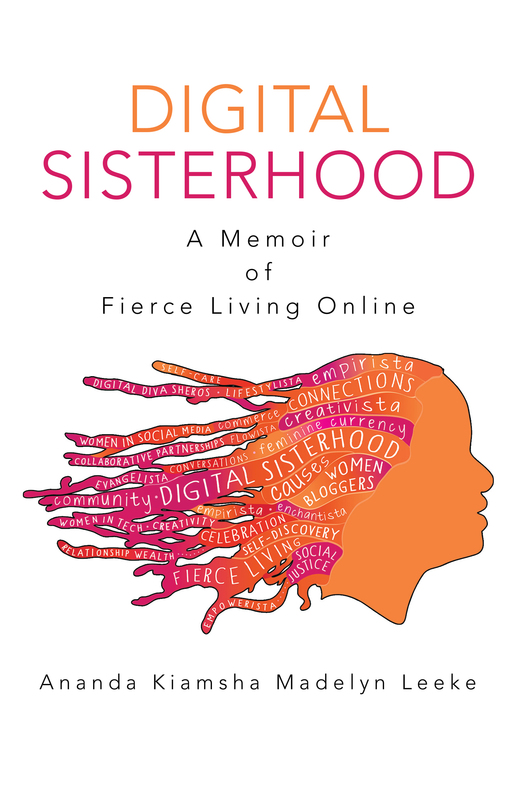 It is based on Ananda Leeke’s new book, Digital Sisterhood: A Memoir of Fierce Living Online. Many thanks to our digital sisters Julie Diaz Asper and Xina Eiland for brainstorming the idea. Today’s QOTD is: Who are the digital sisters that have influenced you the most? This morning, Ananda shared an Instagram photo of her digital sister. Guess who it is? Her mother, Theresa B. Leeke. 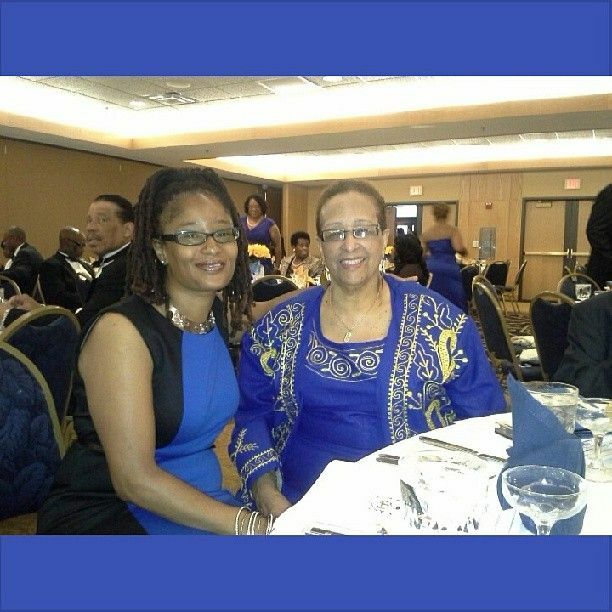 Click here to read how her mother has influenced her digital journey and life. Listen to the audio blog too. Also, join Ananda for the #DigitalSisterhood Book Twitter Chat and a deeper discussion about this topic tonight from 9:00 p.m. to 10:00 p.m. EST. 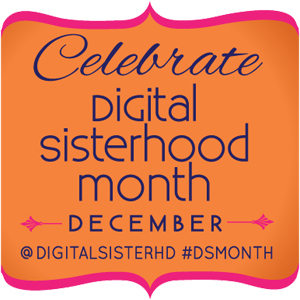 Follow @digitalsisterhd and use #DigitalSisterhood to participate in the conversation. HootSuite.com, Tweetchat,com, and Tweetgrid.com are great tools for tracking the discussion. You can purchase Digital Sisterhood on Amazon.com. What do you think about her definition? 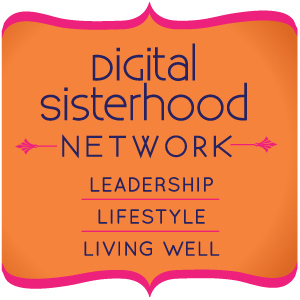 What is your definition of Digital Sisterhood? 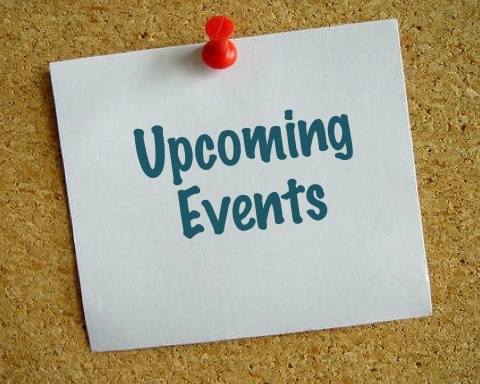 Check out the list of upcoming events sponsored by DSN, 85 Broads Boston, Everywhere, Spelman College’s Digital Moving Image Salon and Art of Genius Creative Technology Series below that women are participating in to discuss, explore, and learn about the power of Digital Sisterhood. October 19 in DC: Meet Ananda in person during her author talk and book reading for her new book, Digital Sisterhood: A Memoir of Fierce Living Online from 3:00 to 5:00 p.m. at the Joan Hisaaoka Healing Arts Gallery. Click here to register for the event. October 23 (online): Connect with Ananda and ask her questions about her new book and the “ABCs of Digital Sisterhood” during the #DigitalSisterhood Wednesday Author Twitter Chat from 9:00 p.m. to 10:00 p.m. EST. 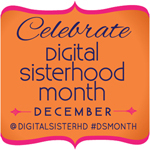 Follow @digitalsisterhd and use the hashtag #digitalsisterhood to participate in the chat. October 30 (online): Tune into Digital Sisterhood Radio for an author interview with Ananda from 9:00 p.m. to 9:30 p.m. EST. October 24 in Boston, MA: Secrets of the Digital Sisterhood: How Online Communities of Women are Changing all the Business Rules organized by Morra Aarons-Mele, 2012 Digital Sister of the Year (Empowerista) and members of the 85 Broads Boston. November 9 in Atlanta: Register for Women Interactive: A Creative Technology Festival sponsored by Spelman College’s Digital Moving Image Salon (led by Dr. Ayoka Chenzira, 2012 Digital Sister of the Year) and Art of Genius Creative Technology Series and attend Ananda’s tech talk on ‘Digital Sisters + Digital Citizens = Social Media Leaders from 4:15 p.m. to 5:00 p.m. at Spelman College.